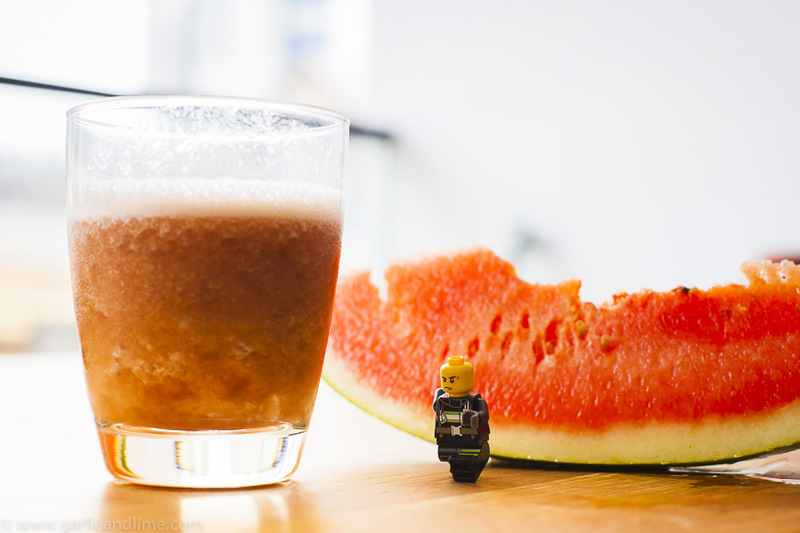 Our little Juicemaster son has been busy experimenting with his juicer and blender again and has created this very simple, but refreshing juice. Packed full of vitamins it could also all be made in the blender if you don’t have a juicer, but it would then be thicker as all the fiber of the watermelon would still be included. This Lego criminal thinks it has all the right ingredients to aid his escape. Remove the rind from the watermelon. Juice in a centrifugal or slow juicer on the slowest speed to extract as much juice as possible.